High performance dog flotation device for boating, water sport adventures and other outdoor activities with dogs. Provides flotation and ultimate buoyancy with bright orange color for easy visibility. Design allows fast size adjustment and a flexible comfortable fit. Water repellent neoprene and cordura materials provide warmth and protection from abrasion. Available in five sizes to fit most dogs. Carry pets just like babies with the comfortable, safe and convenient hands free pet sling carrier. For use with dogs, cats and other small animals. 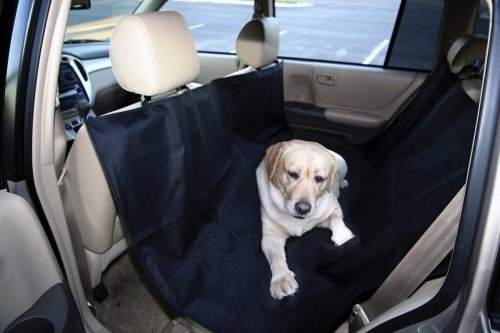 Accommodates pets up to 20 pounds. Slips on and off easily, just like a handbag. Pets are secure, happy and comfortable. This hands-free pet carrier was specially designed to accommodate small dogs under 10 pounds. For maximum bonding time with pets! Comes in two sizes. This stylish and well-padded carrier is the safe and comfortable way to carry a pet. Hold pet securely against the body for maximum bonding. Features padded adjustable shoulder straps. Side straps adjust to pets torso size. Reflective strips, adjustable waist strap, and openings for legs and tail. Securing your pet while traveling is the key to their safety. This easy to use safety anchor attaches any car harness to the vehicle's buckle connection. The fully adjustable strap allows you to control your dogs freedom of mobility. Great for dogs of all sizes. Safety is only a click away! 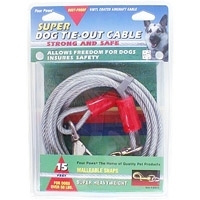 Four Paws Dog Tie Out Chains & Cables ensure pet safety while allowing complete freedom. These rust-proof cables are available in a variety of lengths and weights. 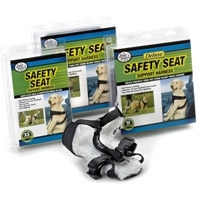 The Safety Seat Support Harness was designed for pets safety while riding in vehicles. 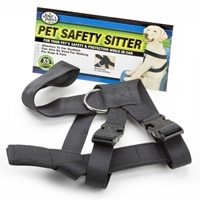 This harness is fleece lined for maximum comfort and attaches easily to any car seat belt or leash. Dog owners can now rest assured knowing their dog is safe an secure when traveling in cars with Four Paws Pet Safety Sitter. The Pet Safety Sitter prevents dogs from jumping out or disturbing drivers and passengers. 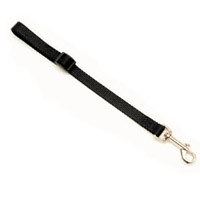 Features a hand buckle that attaches to dogs leash.